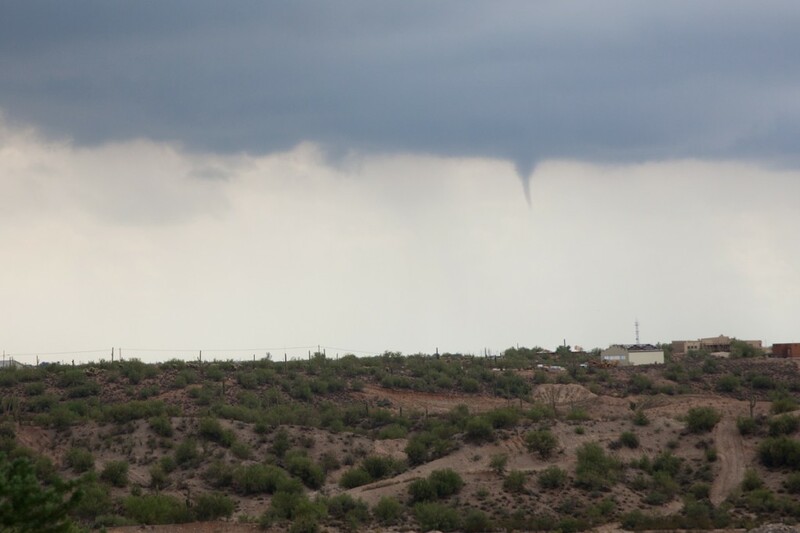 I was dropping off my aerial lift at the shop and looked to the south at a line of thunderstorms heading our way – there was a little funnel cloud! And I had my camera with me – can you belive it? Here are some photos. 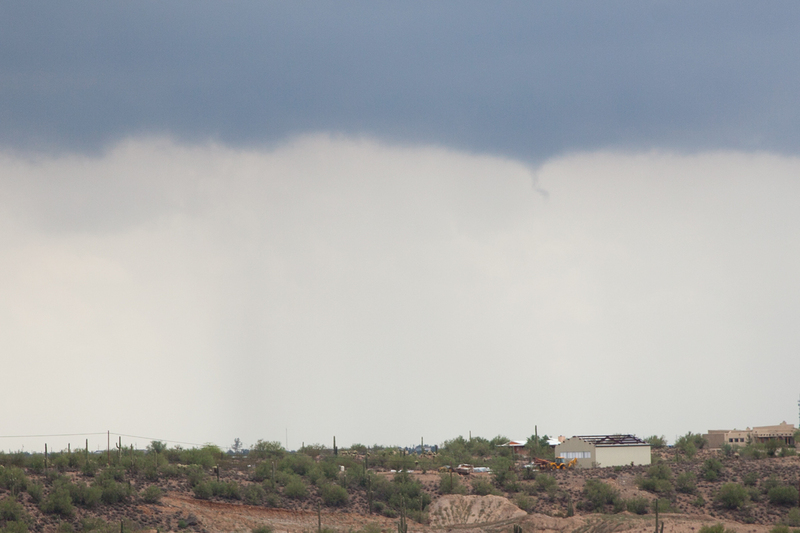 This was about 9:45 this morning and the funnels quickly pulled back up into the cloud bases. 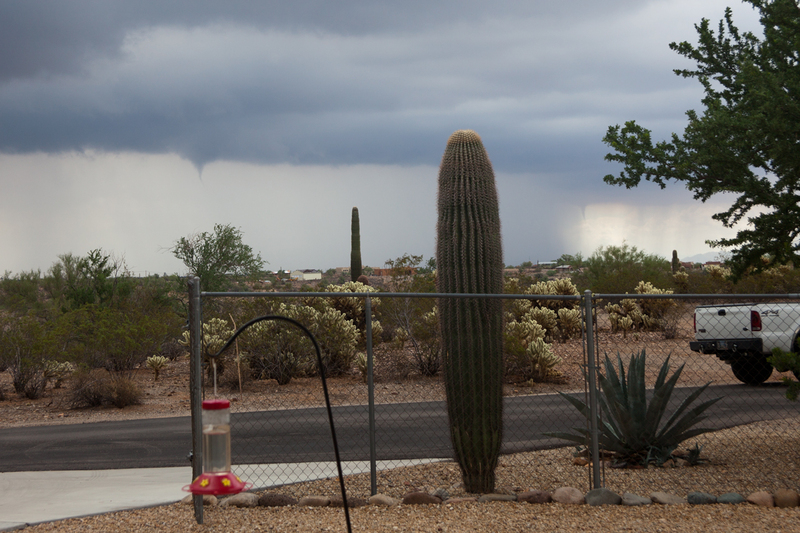 Yes, there are tornados in Arizona! 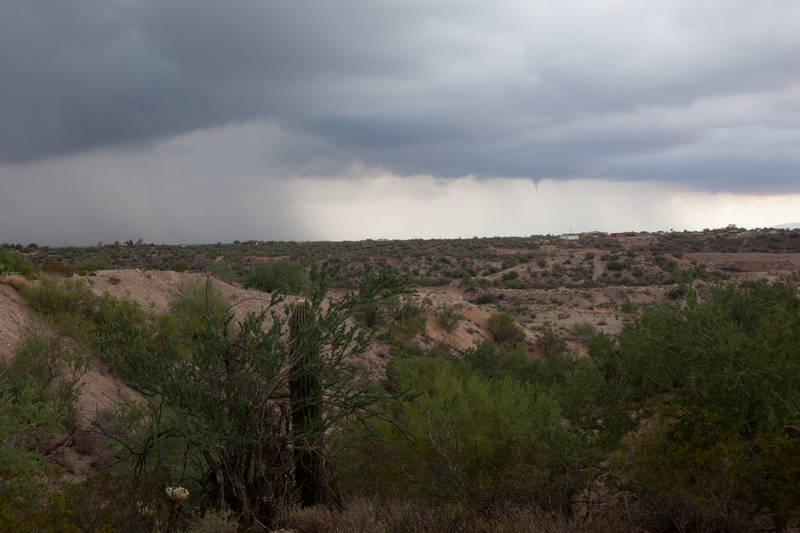 Panorama – Our Shop is Just to the Left. A Double – Can You Spot Both Funnel Clouds?